Talks are 13-15 MB in size and download times will depend on the speed of your Internet connection. Over a dial-up connection, you can download a talk in about an hour. Subtitle: Evangelization: Why and How? Genesis and Evolution: What Do Catholics Believe? What does the Church teach -- and what can Catholics believe -- about Genesis and evolution? How to defend the Church's teachings regarding Infant Baptism and Original Sin from the Bible. The parable of the Good Samaritan shows that we must respond to the needs of others. Sola Fide - Salvation By Faith Alone? Sola Scriptura - The Bible Alone? 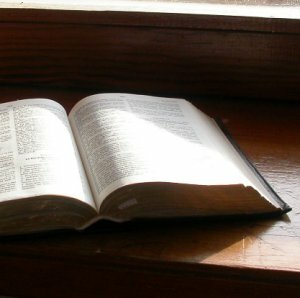 Does the Bible support "The Bible Alone"? Dr. Hahn explains how the Eucharist is, according to the Bible, THE New Testament. What will really happen on "The Last Day"
19 different topics in short Q&A format. This is an apologetic aimed at atheists and social liberals. Which Came First, the Church or the Bible?